Thank you, very much, friends, and good evening. You may be seated, if you will. I’m happy to be here tonight, happy to greet you in the Name of our Lord Jesus. Been looking some time, to be here to minister to you, and I trust that this will be a great time for us all. Well, we’re happy to be in this lovely city tonight. Looked forward to it for some time with great anticipations. Just a little tired. We drove all the way from Phoenix, and stayed home one day and come on up. Been very strenuous the last few months in the meetings, or at least–at least the last six weeks, I’d say… Because we was going to India. Supposed to be in Africa and India this month. And the–the Lord appeared to me and told me not to go until September. So I got this time off with… Kinda go around and speak to my friends and preach to them… And so, I’m happy to get to share the fellowship of you people here for the next few days in this lovely city, to meet your pastor here, Brother Collett, and ‘course, I suppose, there be many more of the ministering brethren. And I come in just for the cold weather, didn’t I? Coming from Arizona here, I liked to froze coming over. My blood had done got thin. Yet I’m a southerner to begin with, so I guess I was just born with thin blood. But when I was born the second time, I got a different kind of blood. That’s right. That’s right. When I got the new birth, I got a new blood. And so He’s taken away the old and gave the new. So you know, you… When He gives you new, He just makes you new all over, like putting wine in a–an old bottle, He said it would perish. So we got to get made over new. And now, it’s always a great privilege to get to come to a church for the first time. But usually you have to kinda get acquainted with one another and kinda get all the spooks away, you know, so we can–we can kinda get down to talking to each other. He had to take those up, I believe. Because that would last till… If we was to be here another month, and we’d never get them through the line, the way I have to pray for the sick. It’s by vision. Many of you has been in the meetings. And that would deprive everybody else that come in. We’d be obligated to take care of them first. So it would… Anyone else would come in, emergency or something, we’d have cards out ahead of that, and the emergency would never be able to be prayed for during the time of the meetings. E-5 The way we do it is, every day give out cards and just pray for them that night. And the next day, if your cards wasn’t called–your prayer card wasn’t called, you can have a prayer card the next day. See? And everybody has the equal rights–chances–every time, every day. So if you just give them all out at one time, then you’re… And then here’s another thing, the pastors, when they give them out, then people if they don’t get it, then they think hard of the pastor about it. So we’ve kinda had a long siege of experience, along those lines. And now, we are–trust that God will meet us tonight in the exceedingly abundantly, and bless us greatly. Now, being it’s going to be a–a prayer service for the sick. We will kinda address it in that manner. It’s always best to have it, only if… You got spirit all around you (See? ), and things, and–and then you can’t control or take care of the audience the way you should when you’ve got more room. Everybody’s crowded and cramped, and they’re wondering this and that, and it just upsets you, terribly. But how many’s ever been in one of my meetings before, let’s see your… Well, I’m not a stranger at all here, am I? Well, God bless you. I’m sure glad to see you put your hands up like that. That’s very fine. And I trust that we will be in many more together, and then, that great one at the last day… Oh, my. When all the saints are sitting at that great Wedding Supper, we’ll look across the table to one another, won’t that be a wonderful time? And I’ll assure you one thing: there won’t be one sick person to be prayed for. No, sir. We’ll just simply let down our collars as it was, and rejoice. I want to make an appointment with you for a thousand years, each one of you. See? Just a little few moments, you know, that’ll be easy in eternity, just to talk things over that we didn’t get to talk over down here. He said, “That’s what I thought.” What the–what the people wanted. That’s what the Lord wanted him to do, and that’s what we have to do (Isn’t that right? ), just whatever the Lord calls us to do. E-8 Now, as praying for the sick… But… So these… There’s some strangers with us, not strangers; they’re fellow citizens of the Kingdom. You all are. And we’re of–all of one Kingdom. Now, I’ll just tell you a little religious background, and then, an experience of how preaching, why I’m praying for the sick. And we’ll talk a little, a few moments, on the Gospel, and then pray for the sick tonight. And I trust that while these few nights of being here, that it’ll be a very pleasant stay. I trust to God. And I believe it will. And I know if there’s anything that you people (as I’ve always seen amongst God’s people, since I got among them), that they always try to make me welcome. And–and everything that can be done to make the pleasant stay, they always make it. And God’s people, wherever they are around the world, you find them the same way. And I know they’re no different in Ohio, because I’ve been here before. You’d say, “Last year.” “Last week.” “Forty years ago.” But He never did that. Christ saved you nineteen hundred years ago. You just accepted it last week and forty years ago. See? The–the price was already paid. He saved you. And now, the only thing you have to do is just accept it, is that right? E-10 Well, now look. He was wounded for our transgressions; with His stripes we were healed. You were healed forty years ago, or…? No. Ten years ago? Tonight? You were healed nineteen hundred years ago. The only thing that you can do tonight is accept it. Is that right? E-11 A doctor claims to assist nature, not heal. They can cut a place in your hand, and if they’d… If you’d fall dead, and they’d take all the medicine in the world, that hand would never heal, because the life’s gone out of your body. Life builds the tissues. They might pull a tooth, but they can’t heal the place that the tooth came out. They might cut appendix out, but what about the place where the appendix was taken from? Who heals that? They might set the arm, but they can’t heal it. God has to produce the calcium and stuff to heal the arm. So healing is God alone. I been interviewed at Mayo Brothers twice. So they said, “We don’t profess to be healers, Reverend Branham. We only profess to assist nature. There’s only one Healer; that’s God.” And that’s correct. No minister can heal you. No. There’s no… People who claim to have gifts of healing, gifts of healing don’t mean you heal people. It only means you have faith in the Word of God. Preaching… It never was a preacher saved anybody. He only pointed them to the One that did save them nineteen hundred years ago. Is that right? Then no man could heal you… If Jesus was standing here tonight, with this suit on that He gave me, He couldn’t heal you, because He’d tell you He’d already done it nineteen hundred years ago. You’d have to accept it on those grounds, is that right? E-12 Now, the only thing a minister can do, would be point you to the One Who did save you or the Healer, point you to the One that has already healed you. Now, in doing so, God set in the church, first apostles, and teachers, and prophets, and all kinds of gifts for the perfecting of the body. You believe that, don’t you? Now, that’s what I believe, that God has set these in the church, some that can preach like some of the ministers here, and others are great teachers and scholars in the Word. Some are seers and sees vision. Some are those who speak with tongues. Some are those who interpret. Some are those who have great faith in healing; that’s called gifts of healing or gift of healing. There is no such thing as “the gift” of healing, ’cause it’s in the plural, it’s gifts. God works in many different ways to heal the sick: sometimes preaching the Word, sometimes a neighbor setting by you, and just lay his hand over on you, feel like he should do so. Always do that. Whatever a borned again child of God feels to pray for the sick; that’s the Holy Spirit moving in you to do so. No matter who’s going to pray for the person, you go ahead and pray for them anyhow. E-13 We just had something that to happen in Louisiana a few nights back. It was a–a big auditorium. The people… I wasn’t going to be there till nine o’clock. And about seven, a lady got a prayer card, and she had a little baby, and she was rocking the little baby. And another poor, little mother setting down there, and she felt so sorry for the little mother with the–with a baby on her arm. She said, “I’m a Christian too.” And said, “I’m a mother. And just to relieve my conscience,” she said, “for the last thirty minutes, since you been standing there,” said, “I–I feel that–that God wanted me to pray for the baby. Would you mind if I just prayed for it before you took it up? She said, “Why, certainly.” And she let the little baby out. And the mother prayed for it, and said, “Thank you.” Walked back, very timid, little southern mother, set down. And when she went back to set down, someone had got the seat. So she had to go way up in the balcony. E-16 See, there’s no individual person can heal. And there’s no–no person could save you against your will or heal you against your will. It has to be your attitude towards Jesus Christ, what determines your healing. E-17 I believe this, that the only through that, and the… Since I’ve been with the Pentecostal people… And I explain that as a doctrine. I believe that gifts and callings are without repentance. See, there’s no way at all for you to do anything… I believe in the election of God, that God does the electing; God does the calling. You, taking thought, could not add one cubit to your statue. See? But whatever God has determined to be, it will be. And you are called by election. It was God that hollering, “Adam, Adam, where are you?” See? And today the sinner does the same way. E-18 Well, we could take much time on that, but just to show you that it’s truth. Jesus said, “No man can come to Me except My Father draws Him first.” So man don’t seek God; God seeks man. And God calls men by election (See? ), fore–foreknowledge of God. Like when, Jesus Christ, when He was born, He was the Son of God. He couldn’t help ’cause He was the Son of God. He was foreordained the Son of God. Before the world begin, He was the Son of God. And He was the woman’s Seed from the garden of Eden that was to bruise the serpent’s head. He had nothing to do with it. It was already planned out. When Moses was born, he was a proper child, not because he was Moses, not because he had done something, but because God chose him before he was born. E-19 John the Baptist, seven-hundred and twelve years before he was ever–ever in his mother’s womb, Isaiah saw him, and said, “He’s the voice of one crying in the wilderness. Prepare the way of the Lord and make His paths straight.” Jeremiah 1:4, God told Jeremiah, said, “Before you was even conceived in your mother’s womb, before you came from her belly,” said, “I knew you, and sanctified you, and ordained you a prophet to the nations.” What did Jeremiah have to do with that? Nothing. God did it. So it’s God’s sovereign grace that He does things. God has a Church that’s going to appear without spot or wrinkle. He’s already said that. That Church is foreordained. I trust tonight that we’re every one members of that Church. And here’s the way I think you become a member: “By one Spirit we’re all baptized into one body,” and we’re members of that Church. I believe that with all of my heart. E-20 Now, Jesus said; here is His Words in Saint John 5:24. “He that heareth My words, and believeth on Him that sent Me, hath Everlasting Life, and shall not come into condemnation; but’s passed from death to Life.” Is that right? I wouldn’t… That’s His Word. E-21 Now, now, for a personal experience now, before we read a little out of the Word and go right into the healing service. ‘Cause we’re running just a teeny bit late. And the next ten minutes I hope to be ready to start the prayer line, the Lord willing. Now, as I make clear then, the doctrine, that I don’t believe that, or discuss, or argue with people about their religious belief. If they believe anything, let them believe it. That’s perfectly all right with me. As long as they’ve accepted Jesus Christ as their Saviour and been borned again of the Holy Spirit, it’s my brother and sister. Whether they’re–whether they’re Methodist, Baptist, Pentecostal, Holiness, Oneness, Twoness, Threeness, Fourness, Forest Rain, Second Rain, Middle Rain, Latter Rain, all the Rains together, don’t make any difference to me. I’m strictly interdenomination in believing we’re all brethren. That’s right. We are brethren. We different in ideas, but in purpose, we’re one in Jesus Christ. That’s right. And that’s why I’ve tried to keep my meetings absolutely, strictly, interdenominational. ‘Cause it’s a brotherhood. Just stand in the breach and try to say, “We are brethren.” And when the whole ransomed Church of God sees that with one accord, the Millennium will be on. That’s right. E-22 You’re the greatest, you Full Gospel people. I think that’s got… Now, of course, you know I was brought up and raised in the Baptist church and was a Baptist minister. Never did leave or anything else; I just come over here, because I thought you had… You… I know you have the deeper light of the Bible. That’s right. It’s the truth. It’s the Angel of the Lord that appeared to me has sent me to you. And that’s exactly the truth. Now, I don’t come as fanatic. I do not believe in fanaticism. I wouldn’t stand for it. And I know you don’t believe in fanaticism. You believe in the truth, and truth will always speak for itself. That’s right. You never have to strain truth. Truth will always be truth. And so, I–I trust that God will bless us now. E-23 And now, religious background, I had none. My people before me were Catholic. I… My father and mother both are Irish. Anybody can be forgiven for that; there’s a chance for all of us, isn’t there, for being Irish. Mother and dad both were Irish. My mother is a Harvey, my father a Branham. So I was born in a little cabin up here in the mountains. We’ll have the books, but not to sell on Sunday, on some other day in the week. And they’re… The different literature and stuff will be… after a bit. Now friends, I can only testify to what’s truth. It may seem a little strange to some of you. But if I tell the truth, God will testify that it is the truth. And if He doesn’t, then I haven’t told the truth. Lets God do the judging. And I’m told that when I was born, in a little mountain cabin up in Kentucky, we didn’t have windows like you have here in your homes here; it was just a door you push out, and a little door for a window, no rug on the floor, not even a floor, just the dirt. And we had a stump, cut off, pegs in it, for our–our table, and a bench we set on to eat there at the table, they said. My father and mother were very poor. There was no doctor within forty miles of–or a city of where my dad was a logger. And there’s a midwife. I’m sure you’re acquainted with what that is. The old midwife came over, and my mother was fifteen years old when I was born. My dad was eighteen, two children. E-25 And when they opened up the window, we had an old grease candle, they said, to make light. I don’t whether you’ve ever had a little can of grease with a–a–and a pine knot. And burn the old pine knot through the night to make the light. And when they opened the window up, the morning, at five o’clock in the morning, when I was born, there was a Light (We have the picture of It.) circled in the room and hung over the bed where I was standing. Now, do you see why I have to believe in the foreordination of God, for…?… See? Out of a sinful family, none of them even went to church; none of them professed religion on either side. But God in His grace, by His mercy… The mountain people was disturbed; they didn’t know what would happen. E-26 The first thing I can remember nearly, I was about three years old, when He come to me and I saw a vision, and He told me where I would be live–raised at. At seven years old, It appeared to me, and told me never drink, smoke or defile my body. I never… There’d be a work to do. About twenty-one, I was converted, went into the Baptist church, preached for several years. Visions, just as He’d appear to me, and tell me things that was going to happen. The ministers told me it was the devil. Said, “It’s the devil doing that. Don’t you think that. You’re going to be a fortuneteller.” Well, then one night… It scared me to death, brethren. I didn’t know what to do. I love the Lord Jesus with all my heart. And I didn’t–I didn’t want to get messed up with something like that. And He just keep… It would come to me, and everything It told me was the truth, every time, just the truth. So I said, one night I was… See, I worked, pastored the Baptist church there, tabernacle. And I worked twelve years, while I was pastor, and never received one penny of money. I don’t take money. Not… I’m not up here for money, friends. I’m up here to help you to love the Lord. If it was money, I wouldn’t be here. And now, I don’t do that. E-27 We just told Brother Collett awhile ago, I said, “Whatever expenses is, pass the collection plate. Don’t never (The manager is not along, and they know better than to do that. ), never put a string on.” What the Lord wants me to have, He’s always supplied my needs. And that’s the way I live. He takes care of me. I don’t have nothing tonight. I don’t have nothing or expect to have. If I had it, I’d give it to somewhere else, so it’d go out for the Gospel. I’ve got one purpose; that’s to see the Kingdom of God come on earth in power (That’s right. ), see Jesus Christ return. He said, “Well, you’ll hear of wars and rumors of wars, that… Don’t be terrified.” All these other things that happen. But He said when this Gospel has been preached to all the world, then He’d return. E-28 He never ordained us to build any church. He never ordained us to make a hospital, to make a school, or have a seminary. He never one time commissioned us to do that. All them things are good, but yet He did commission us to preach the Gospel to all the world. And we’ve built schools, and seminaries, and taught theology, and one third of the world is all that’s heard about Jesus yet. But after all, passing tracts is not preaching the Gospel. “The Gospel came not in word only,” said Paul, “but through power and demonstration of the Holy Ghost.” See, you’re… Not just teach the Word, but preach, make manifest the Word. The Word has to be made alive. It’s a dead letter until it’s made manifest. And then it’s quickened, and it’s brought to pass, what God said about it. That’s the Gospel in action, the New Testament Christianity. And then, the people asked me about It, and they got me scared, and told me It was the devil. And one night while I was in prayer… Many years later, just before coming to the Full Gospel people, I was praying, “God, take this thing away from me.” I said, “Lord, You know I love You, and I don’t want It no more, please.” I went to pray all night about it. And I heard someone walking. I looked coming over to this side; there come a tall Man, big, long hair. Now, it didn’t look like the picture of Jesus. I believe, I say this reverently. I believe, by vision, I seen Jesus twice. I–I–I… It was a little Man, but it doesn’t look much like the artist paints Him. But I–I fainted when He–looked at Him, so I… it was… He was standing off to my side. He said, “That as the–Moses was given two signs of vindication of his ministry, so will it be given you, two signs.” One would be, take a person by the hand, and just stand there, and you know what was wrong with them. The next was to know the very secrets of their heart. And I questioned that. And He referred back to Jesus of Nazareth, and the same thing. Then I said I would go, and then the Light that was above the–the Being, He went up in the Light and went away. And then I started. And it’s been ever since. Then the picture was taken, authentically, many times, by a newspaper reporter. You’ll perhaps see it, right here at the platform ‘fore the meeting’s over. And It’s a–It’s a Light. If He wasn’t Jehovah-jireh, He wasn’t the Lord’s Provided Sacrifice, He wasn’t Jesus Christ, the Son of God, so we’re still in sin. And if He was Jehovah-jireh, He’s Jehovah-rapha also ’cause they–them compound names is inseparable, Jesus Christ the Healer, the same yesterday, today, and forever. So that–that just settled it forever, for once. E-33 And then he kept saying, “Bring forth that healer and let me see him.” Now, I wasn’t supposed to be there, but I was up in the balcony thirty, wife, and brother, and I. And the Angel of the Lord come, said, “Go down.” Five hundred ushers put their hands together; I come down, went to the platform. I said, “I don’t want you to think hard of Brother Best. He has a right to believe that–as a believer.” I said, “As an American citizen, he doesn’t have a right to–to say the Bible doesn’t teach it, because he hasn’t got nothing to say now.” But I said, “I only testify the truth. If I tell the truth, God will testify the truth.” And here He come, coming right down. So they–they had the Look, Life, Times, Colliers, and all those magazines there. And the Douglas Studios of Houston, Texas, a member of the American Photographer Association shot the picture–one a Catholic and the other one a Jew. Took it in that night and developed the picture to see if was–absolutely was authentic. And the man had a heart attack when he looked at it. E-35 And so, the picture now is copyrighted, they… Of course, they–they sold it and everything else. I’d get it from them, give it out, just as I get it. And one hangs in Washington D.C., in the Religious Hall of Art, as the only supernatural Being that’s ever been proven, that there was a supernatural Being scientifically. And He is the One Who does–sees the visions. It’s not me; it’s Him. And we got some of the pictures, with us (a very few). They will have them here, maybe tomorrow night, or whenever, where we go up to the other auditorium. And the books and so forth, you can read the rest of the story. E-36 And now, just for a moment now before we call the prayer line, I’d like to just quote a Scripture, if you’ll listen, just a moment. Just so it… My words will fail. I’m a man. But His Words can never fail. Let’s take it from here. There was some Greeks come to see Jesus one time. And they said, “Sirs, we would see Jesus.” Now, how many Christians is in here? I want you to raise your hand. Just so I can see. Well, that’s a hundred percent, just about, I suppose. We’re all interested in knowing we see Jesus, aren’t we? That’s why we’re here. Now friend, Hebrews 13:8 is always my theme. It’s Jesus Christ the same yesterday, today, and forever. Now, do you believe Jesus Christ rose from the dead? You do? Well, then if–if He… What He was here on earth when then, He is just the same today, or we are living in perfect ignorance, or we’re–we’re living under false pretense. Now, let’s make it right or wrong. E-37 Now, Dr. Reedhead, many of you know him, you Baptist people here. He’s the President of the Sudan Missions, the biggest in the world. A few months ago, came to my house… Bishop Pilai, the Archbishop of India, is he here tonight? I… Yes, he’s coming down; he’s going to be in this meeting. Dr. Pilai, the Archbishop of India, come and received the baptism of the Holy Ghost. E-38 Now friends, you won’t meet this here, in–in–in this city. You won’t meet it in America, but you go out across the world where you meet the heathens, the witch doctors and other religions. Remember Christianity is third in line. The biggest religion in the world is Mohammedans, second is Buddha, and third is Christianity. We’ve let down. Dr. Reedhead said, “Why don’t you renounce your own dead prophet?” (Which was Mohammed) “and receive the resurrected Lord Jesus?” As any Christian would exalt Jesus. And so the Mohammedan said, “Kind, sir, what could your Lord Jesus do, any more for me than what my dead Mohammed can do?” Now watch, now, Christians. That’s the reason I asked you if you was Christians. The Mohammedan said, “Did He?” See? Said, “Oh, He lives in my heart.” See? He said, “So does Mohammed live in mine.” said, “You see, we studied psychology same as you did.” See? E-39 Said, “You claim that your Jesus raised from the dead.” He said Mohammed only promised life after death.” He said, “That’s what Jesus promised.” And he said, “We believe we’re going to have life after we die.” And said, “They both wrote Bibles. We read them and believe them.” Said, “Now, what more could your Jesus do for me than Mohammed does for me?” See? He said, “You said your Jesus rose from the dead, and you’ve had two thousand years to prove that. And only one third of the world knows about it.” He said, “Let Mohammed raise from the dead, in twenty-four hours, the whole world will know about it.” The man was right. He said, “What kind of a Bible you got, part of It inspired and part of It not? Well, what about the things He said, when He said, ‘The things that I do, shall you do also, greater, for I go unto My Father. '” Said, “What? Was that inspired? What about Mark 11:24 ‘Whatsoever things you desire, when you ask, believe you receive it and you shall have it.’ Is that inspired?” And Dr. Reedhead said he shook his foot on the dust and changed the subject in the front of a Mohammedan. E-41 How weak Christianity has got, to theology, teachings, schools, reading, writing, and arithmetic. That’s all right. But brother, it don’t take the place of the Holy Spirit to make manifest the powers of God and the… Yes, sir. The world’s hungry tonight to see Jesus Christ. Standing in Durban, South Africa, a few months ago, when I was standing there and Jesus Christ made manifest, thirty-thousand raw heathens came to Jesus in one altar call, thirty-thousand converts at one time. When they’d read about it? But when they seen Jesus Himself moving. Now, let’s just… If we’d want to see Jesus, if He is risen from the dead, then He’s living among us tonight, do you believe that? Now, let’s go back and see what kind of Person He was. I’m butchering up my talk, because I know it’s getting late. But just so that you’d get the idea, when we get over in the other place, we’ll have healing services, the Lord willing, and just see what I–what I mean then. E-42 Look, you… This–this… It’s got to be right or wrong. There’s no middle grounds. It’s either right or it’s wrong. This is either the Word of God or it’s not the Word of God. It’s either inspired or it’s not inspired. Jesus either meant what He said, or He didn’t mean what He said. And He’s either the same yesterday, today, and forever, or He’s not the same yesterday, today, and forever. He’s either Almighty God, or He’s nothing. Is that right? If He’s Almighty God, He can do all things. If He can’t do all things, He’s not Almighty God. Is that right? So that’s just the whole thing, friend. And if I couldn’t believe Him for every Word in here, I wouldn’t be up here preaching tonight. I was a state game warden of Indiana when I was called into this and loved my work. But I know that Jesus Christ has risen from the dead and lives in His people tonight. And He’s just the same as He ever was. Let’s drop back and get a view of Him. E-43 When He come on earth… If we was going to go around through the city here, tonight, Columbus, and look for Him, what type of person would we look, a high scholarly, polished man? No. We never read… As far as I know, He never had a day of schooling in His life, ‘less His mother taught Him. Strange? Would we look for a man that had his collar turned around, and the–all–big robes, and flashed up, dressed different from other people? No, sir. He dressed like a common man, like the man on the street. Would we look for a man that had excellently of speech, that He knowed how to… His grammar so perfect? The Bible is written in the regular street language. That’s the reason the translators get mixed up on it so much. One says the Greek Word says this and the Hebrew Word says this. And they disagree on it, because they are trying to apply a different meaning. It was taught right in regular language like you and I use here, just a regular language. E-44 You wouldn’t look for a scholar. Well, what type of Man was He? Was He a man walking around with a great big, wide shoulders and a fine seven footer? The Bible said there’s was no beauty we should desire Him. Yes, sir. He was no beauty of Him we should desire, probably a little bitty Fellow. So, He didn’t look like any king, yet He was King of kings. Uh-huh. But notice now, another thing, watching. He wasn’t a… We wouldn’t look then to find a man… Did He claim to be a–a Healer? No. Did He claim to perform miracles? No. He said “It’s not Me that doeth it; it’s My Father that dwelleth in Me. He doeth the work. Of Myself, I can do nothing.” So He didn’t take any praise. Went around… “The Man of the hour,” or anything, was He? He didn’t take no praise at all for anything. He said, “It’s not Me that doeth a thing. I can do nothing in Myself. What the Father…” He never claimed to heal one person. And He never healed one person. E-45 I want to give you… Do you believe He was full of mercy? Do you believe He was love and full of compassion? I want to question you now. We’ll take that… Let’s take Saint John 5. There was a pool called Bethesda, at the sheep gates, where you come in for the market, had five porches. In these lay great multitudes of sick and crippled people: lame, halt, blind, and withered. Is that Scripture? Now, if we wasn’t in such a hurry, I’d read it. But you–you’re scholars and understand. They was laying underneath porches: lame, halt, blind, withered, waiting for the moving of the water, for an Angel come down at a certain season, troubled the water. The first one stepping in, just one at a time, one every two or three months. But the first one stepping in after the troubling of the water was made whole of whatsoever disease he had, is that right? E-46 Now, multitudes, it takes two thousand to make one multitude. And there were great multitudes. God willing, I aim to go through that place in the next few months. Now notice, here come Jesus walking right through there. He was Emmanuel. God was with Him. God was in Him. He was full of mercy, full of compassion. A woman had just touched the hem of His garment and was made whole of a blood plague (blood issue). And now, here… Let us… Closely. Now just, keep this now so that when we get into the campaign, the big campaign over here, the Coliseum or wherever it’s going to be… When we get in there, you can tell others. Let me say this, not as a rebuke. Let me say this with kind, tenderly, Christian love. People get sympathy mixed up with love: not His sympathy, His love. That–that may speak in riddles, but you’ll see after a bit. See? Sympathy and love is contrary one to the other. Love is one thing. Sympathy is another. E-48 But He walked right through that crowd of people, all them lame, halt, blind, and withered, and never said a word to them. Now, if He is full of love and compassion and loved the sick people, why didn’t He heal them? Because He wasn’t a Healer. He said He wasn’t a Healer. Now, He walked over to a man laying on a pallet. That’s what we’d call it down South, or a bed laying there, a pallet. And He could walk; he said, “When I’m coming to the waters, somebody steps in ahead of me.” He might’ve had prostate trouble or something or another, or retarded sugar diabetes, or… Why, he’d had it thirty-eight years. He said, “Take up your bed and go to your house.” Healed that one man, and walked away, and left a whole multitude of people, is that the truth? And look at the lovely, compassionate Lord Jesus. That’s the same old Devil that said to Jesus, “Turn these stones in to bread and let me see you… And I’ll… Let–let… Do a miracle and let me look at it.” See, see? “Let me look at it, and I’ll believe You then.” It’s the same Devil that said to Jesus, “Come off the… (religious devil too, you see?) Come off the cross; now we will believe you.” Put a rag around His head and said, “You said you saw visions.” Put a rag around His head, and hit Him on the head with a stick, and said, “Who hit you? Prophesy now, and tell us who hit you.” He don’t clown for people, never opened His mouth. He stood there. God didn’t show Him nothing; He didn’t do nothing. And watch Him at the–watch Him at the grave of Lazarus. He said, “Father, I thank Thee that Thou hast already heard Me, but for these that stand by, I said it.” See? He knew. God had showed Him what was going to do. E-52 Now, in the beginning of His ministry… See, He did nothing except first… How many understands that? Jesus said Himself, that He didn’t do anything until first the Father showed Him, is that right? And He seen it, now. Not just the revelation, but He seen it. “What the Son seeth the Father do, that doeth the Son likewise.” What He… “What I see.” a Seer. Always… He’s the King of seers, the King of prophets. “But what the Father shows Me, that I do also. What the Father doeth, He shows…” He will show you greater than healing this here diabetic (ever what it was), that you may marvel. See? Now in the beginning of His ministry, look at Him. He was standing out here… Let’s take Him just a moment longer; I’m holding you long, but look. Just a moment longer, if you please. E-53 A fellow by the name of Philip, got converted (Luke the 1st chapter). And he goes and finds Nathanael, a very good sign of conversion, isn’t it, when he goes and hunts somebody to get him saved too? So He find Nathanael under a tree. So let’s say that Jesus was standing in the prayer line, praying for the sick. And up come Nathanael, walking up. “I want to see Who this Fellow is that knows so much.” Walked up to Him like that. Jesus looked at him and said, “Behold, an Israelite, in whom there is no guile.” Kinda shocked him. E-54 Look at the woman at the well. He sent the disciples away. The woman come out to the well to draw water. Jesus looked at her. Now, watch His contact. Said, “Well, the wells deep, and You have nothing to draw with.” The conversation went… What was He doing? Contacting her spirit. Then He found where her trouble was. “Why,” she said, “I perceive that You’re a prophet.” And she run into the city, all excited, and said, “Come, see a Man Who told me every thing I ever done.” Why, He didn’t do that. He just told her one thing she done. See? But if He could tell her one thing, He could tell her everything. E-55 Now–now, He didn’t claim… See, He found her trouble. Now, if… And then, when He was standing in the audience of people, He looked around. He perceived their thoughts. Jesus is a mind reader. Oh, did that shock you. He was. If anybody can tell me the difference… Not one of these here devils, setting out here, with a little old, trailer, reading on your hand. That’s the devil. Just a… Everything the devil’s got, he copied it off of God. Don’t you know the two spirits would be so close together in their last days? Sure, everything the Devil’s got is a counterfeit. Look at the Urim Thummim off the Bible, brethren. If a prophet prophesied, and it didn’t flash on the Urim Thummim, it wasn’t right. If a dreamer dreamed a dream that didn’t flash on the Urim Thummim, it was wrong. And today, God’s Urim Thummim is His Bible. And if a prophet says anything, or comes and tells you something, or a dreamer dreams a dream that’s contrary to the Word of God, forget it. It’s not right. That’s God Urim Thummim. Because there’s the foundation, God’s Word. See? E-56 But the witch… Now, the Devil went and got a crystal ball when he gazed it and half tell you, just guessed at what you’re talking about, half the time right, not half the time right, even. That’s the Devil. But Jesus perceived their thoughts. Now, what is the difference in perceiving a thought or reading a mind? Could somebody tell me the difference? What difference the word is? It’s the same thing. God can perceive your thought or read your mind? Now, which–which is it? See? Jesus… The Bible said, Jesus perceived their thoughts. He could tell what they were thinking about (as the Father would show Him). There was a woman; He never even–never seen her as He was passing through the crowd. She, somehow or another, she contacted Him by touching Him. He never felt it with His body. But she said in her heart, “If I can just touch His garment…” He stopped. Something happened. He looked around, said, “Who touched Me?” Something’s happening. And He looked over her, He said, “Thy faith has saved thee.” See? E-57 Now, that Jesus lives tonight. Now, look. “The things that I do, shall you also.” Is that right? “Yet a little while…” (I’m closing.) “Yet a little while, and the world seeth Me no more.” The world’s the unbelievers. “Yet ye shall see Me,” Now, do you people that want to say miracles is only for them back there, and He was just talking to the disciples? “Ye shall see Me (the church), for I will be with you, even in you, to the ends of the world.” Those disciples died two thousand years ago. But disciples still live on. “I (personal pronoun) will be with you, even in you (the Resurrected Lord Jesus), to the end of the world.” Jesus Christ the same yesterday, today, and forever. Yes, sir. “Yet a little while and the world seeth Me no more. Yet, you will see Me, for I’ll be with you, even in you; and the things that I do now, shall you do also, even more, for I’m going to My Father.” Is that right? Then if Jesus raised from the dead, living in His church, His Life will be reproduced in mankind, proving Jesus Christ the same yesterday, today and forever. E-58 And now, in this one night of service here at the… I challenge this little group here of Christian believers to believe that with all your heart. And if Jesus Christ will come to this platform and will reproduce His Life, right here in this audience tonight, I want to ask you something. I know you been fasting. And many of you have been praying. That’s the reason you… There’s such a wonderful spirit in here, tonight. How it’s banking up, as I can feeled It moving. Now, I… As I’ve told you, I’m not a fanatic. I tell the truth. A man of honor will tell the truth. And friends, I got around ten million people I’m in contact with around the world. Been all around the world… I’ve got to watch what I say. And I wouldn’t bring reproach on Jesus Christ for nothing. I tell the truth, and God testifies it’s the truth. If I tell you something, you have a right to disbelieve me; but when God testifies that that’s the truth, you shouldn’t disbelieve God, is that right? You shouldn’t. So, the Lord bless you. E-59 I want you now tonight, to… (Every person in the audience) don’t stir. Be reverent. You’re in church. And just sit… I’m sorry I chop up a message like this, but I just had to kinda, cram it in, to have this night of healing service. Now, we’re going to start praying for the sick. And I trust that Jesus Christ, the Son of God, will come tonight and bring to pass these things that I have talked about. “The things that I do, shall you also. For I will come and be with you, even in you, to the end of the world.” And may God grant tonight, before this Columbus audience, that Jesus Christ, the Person of His Being, will come in to this group of people tonight, and will manifest, and make sure to every believer that He, risen from the dead, He is not dead. He’s alive. He’s among us tonight and will manifest Hisself. God bless you, while we bow our heads. E-60 Our kind heavenly Father, we want to thank You from the depths of our hearts for Your lovingkindness of ever sending Jesus to us. And O God, to think that we poor alienated people, one time cut off without mercy, Gentiles… Two thousand years ago, we Anglo-Saxon people were walking around with a club on our shoulders, heathens, worshipping idols, four-footed beasts and birds. In due season, Jesus died, the Innocent for the guilty, and redeemed us back to God. And now, tonight, we’re so close to Him, to even, we are called His sons and daughters. It does not yet appear what we shall be in the end, but we know, we’ll have a body like His, for we are going to see Him as He is. And I ask You tonight, kind heavenly Father, to take these few chopped up words, after being standing here, worn out, tired, and so forth. Not expecting to have this type of service here tonight. But I pray, God, that You will override the opposition and will come and anoint Your unprofitable, unworthy servant, that Your dear people here, the purchase of Your Blood, might know of a sure, that Your dear Son, Jesus Christ, has risen from the dead and living among us in the form of the Holy Spirit. Grant it, Lord, for we ask it in His Name. Amen. E-61 I hardly know just how to begin to–to start a meeting here. (Where’s Billy Paul? What prayer cards did you out? Where abouts?) All right. They give out some prayer cards down here, awhile ago, just about a hundred of them or something like that. It’s a little card just about like this here. And it’s got my picture on one side, and–and–and on the back it’s got a number. And it’s… It will be P’s on there, and if we–when we get in the other place, well, we’ll give them out every day to you. E-62 Now, I want to ask this now, so… If the Holy Spirit comes and reproduces the resurrected Lord Jesus, just like He was then, will every one of you in here tonight be grateful to God and thank God for it? God bless you. Now, to the sick and the afflicted, may God be with you, wherever you are. Why, I don’t see no one that would look like was crippled up or sick, but you’re bound to be in here. Now, I want to say to you, that it’ll probably be in… It’s a semiconscious. One more word, so I can get it close to you. How many in here ever dreamed a dream? Let’s see your hand. There’s a… half of the people or more. Well, that’s about right. About one third of the people never dream a dream. Well, what if I asked you to dream me a dream? You couldn’t do it. There is no way for you to do that. E-63 Look, let me show you. Here’s the first… What are you doing when you are dreaming? It’s a subconscious. Do you all agree, hear that? Now, look. Here is a man in his first conscience. Here’s the man in his second conscience, his subconscious. Now, when this one is inactive, this one becomes active. You dream dreams. Many of you dream. You dreamed dreams years ago; you still remember them tonight, that you dreamed year… Is that right? Well, what part of you was where? If you still remember it. When you come back here, you remember what you dreamed of. And when you’re dreaming, you dream of things that you did out here. That’s that dual conscience. That’s the reason people say, “Oh, I got faith Brother Branham.” It’s this first conscience. Let it get down in to this one time and watch what happens, when they both go to agreeing together. See? All right. But it’s just up here, a knowledge belief. But when it comes down here, it becomes a reality, when they’re both in agreement with that up there. See? They all three agree then. But now, when this… There’s some people that doesn’t dream a dream, you in here that doesn’t dream. You’re very sound sleepers, aren’t you? Your subconscious would be back there at the wall. You would never get to it. E-64 But this man who’s dreaming, he can’t help dreaming. And God deals in dreams sometimes. If there is an interpreter. It’s not too accurate ‘less there is an interpreter. There was with Joseph and so forth. And King Nebuchadnezzar, at many places in the Bible. But now, look. This man can’t help because he doesn’t dream. This man can’t help because he does dream. That’s the way God made you. Is that right? But a seer or a prophet as we’d… Prophet’s a preacher. Or a seer, his subconscious is not back there, neither is it here; it’s right here. They’re both together. That man sleeps real sound. A dreamer doesn’t sleep very sound, and a seer doesn’t go to sleep at all. Just one to the other. God speaks through that. See what I mean. E-65 Now, you can’t make yourself. And it don’t make you anymore than anybody else. One’s a Christian; this is a Christian; this is a Christian. They’re every one sons of God. See? But it’s just the way God has set us to do those things. Now, the Lord bless you. E-67 …Her finger touched Him. Won’t He turn the same way? He turned in the Person of man. But He’s still… It’d be the Lord Jesus. I don’t know you. You know that. But He does know you, doesn’t He? All right. If the organist will, can you play that “Abide With Me,” sister? Do you have it here, in there, if you will? Now, I want everyone reverent. Now, remember in anywhere in the building… So I have to say this. It’s the law in most of the states, ’cause there has been some horrible things happen. If there is a critic or an unbeliever present, I will not be responsible for what happens. You should leave the building now (See?) a critic or an unbeliever. For be it assured that I am not responsible; we are not playing church. E-68 Actually, unclean spirits, epileptic demons go out, and they go to others. I’m responsible for a Christian, ’cause he is a believer. But an unbeliever, you know… Many of you… How many has been in my meetings, and see those things happen? I’ve seen even chairs come up when demons would be contrary. And as many as twenty or thirty fall at one time with epilepsy, frothing at their mouth to the floor. So you have to be careful. So by the state law, I’ve got to make that announcement. I’ll not be responsible for critics or unbelievers. So if you’re here, as your Christian brother, I ask you to not stay in the building now. E-69 Now–now, while this lovely song is being chorded low, now, may we just all silently go in prayer. Now, every few moments, somebody let me know… Now, it’s going to be real hard, because look. On the platform, you that’s been in my meetings before, you know that everything is clear around, is that right? But there is sick people sitting here, probably, and they’re all around like this. And here’s spirits moving everywhere. See? And God help me to know what is–to get it right. See? ‘Cause it’s from both sides. Usually I don’t… No one is on the platform but my manager, Mr. Baxter. He is the only one that comes to the platform. But now, we can’t do it in this church. And to you people… Now, if the Lord Jesus will reproduce His Life here, how many of you is going to accept Him as Healer? Let’s see your hands. “I’ll–I’ll accept Him as Healer.” If He will do right here what He said that He would do, you’ll believe Him? All right. The Lord bless. E-70 All right, let’s see. (Where is the–the people that’s sick they’re right…?… What? Right here? This lady? All right.) Now, everyone just reverent as you can be. Just stand right here, if you will. All right. Now, everyone please… See, if the Holy Spirit anoints me, after a few patients, I’ll… It’ll… I will become unconscious. You, see? It’s just… You go into another conscience, another dimension, if you want to call it that. And it sees what has been and what will be. See? And I want you to be reverent and respect the Lord Jesus that I am representing to you, your Saviour. And to you Christians here, I’m sure you understand what I’m trying to do. And around me everywhere is to represent Jesus Christ to this audience. Now, don’t stir around. Just be reverent. And now, thank you, sister, very much. E-71 Now, the lady here, of course… I want to talk to her, just a few moments. Just… I just want you to answer me, just like our Lord stood at the well and answered the–the–called the woman. It’s… What I sort of think He did that, He was contacting her spirit. See? I–I’m a man. You’re a woman. We are probably raised–born years apart, and raised miles apart, and perhaps this is our first time ever meeting in life. Is that right? First time we’ve ever met in life. I know nothing of you, never seen you, know nothing of you. God knows that’s true. But I never seen you, know nothing of you. E-72 [Blank.spot.on.tape–Ed. ]… hospital. It’s a… It’s in a–a room, it’s a… It’s been an operation. There’s a operation. And that operation was a–a tumor of some sort. And they have… They used some kind of a treatment like a… It’s a–it’s a radium, a radium treatment. They… And it’s caused… You now are suffering with a something wrong in the kidneys, a kidney trouble. Is those–them things the truth? If that’s the truth, would you raise your hand if that’s the truth? Now, that you heard, that wasn’t me. 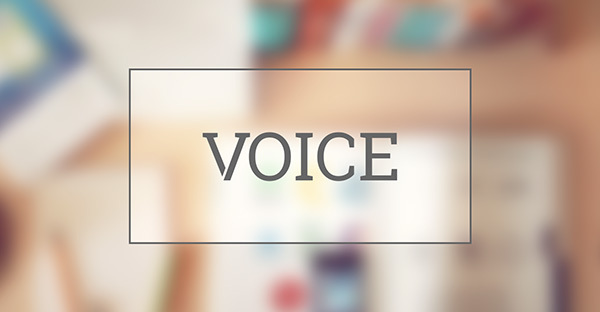 That was my voice, but that’s Him that’s talking to you. See what I mean. Now, audience, you see what I mean? Now, He’s here. He’s here to heal the whole group now. See? I want to pray for you. Kind, loving, heavenly Father, let Thy mercies be upon our sister, and may she go, and whatever is her need, may it be granted. Thou hast said, “These signs shall follow them that believe: If they lay their hands on the sick, they shall recover.” And while Your blessed anointed Spirit is on your unprofitable servant, I condemn the disease of her body, and send her home to be made well. In Jesus Christ’ Name. Amen. God bless you, sister. Go happy, rejoicing. Believing with all your heart. E-73 All right, bring your… Oh, it’s this man? How do you do, sir? Perhaps maybe we are strangers to each other. You saw me at Connersville. But I mean to meet one another there. All right. Now, being strangers to each other, well then, I perceive now, that you are a Christian, because your spirit feels welcome. See? And I know it’s a Christian spirit in you. And God knows all about you. Isn’t that right? You believe with all your heart? Just have faith; don’t doubt. Now, everyone of you out there, someone contacted then. It left from me. Do you believe God will heal you of that rupture, that hernia? You believe it? Stand up on your feet then. Say, I accept my healing now, in the Name of the Lord Jesus. God bless you. Have faith. The same resurrected Lord Jesus lives tonight. All right. Everybody have faith now; believe with all your heart. Now, you have no right to doubt God. But if I tell the truth, God testifies I tell the truth. See? That’s the way He does. E-75 All right…?… We are… Now, just everybody be reverent. I’m not beside… I–I–I know where I am. It’s the… ‘Course, it makes you weak. The prophet Daniel saw a vision and was troubled in his head for many days. We are strangers, I suppose, aren’t we, lady? We don’t know each other. But God knows both of us, isn’t that right? You believe me to be His seer or His servant? You believe me to be God’s servant? You believe that I am His servant? Well, then… No, just tonight. Well, God bless you. I see it turning dark around… No, it’s a–it’s an operation. You got a–a–a growth in your neck. And that operation is set for tomorrow, isn’t that right? O God, may Your mercy come to our sister, and may she recover, and be made well and normal again for God’s glory. We ask in Jesus Christ’s Name. Amen. Go rejoicing and thanking God now. As you believe, so be it to you. God bless you. E-76 You like to get over that gall bladder trouble, and be made well? Believe God would do it? If you’d believe it with all your heart, you could have what you ask for. Just accept it, if you believe it. You believe? We’re strangers to each other. I’ve never seen you in my life. But God knows all about you, doesn’t He? And He knows me. You’re conscious that something is going on, aren’t you, lady? Now, just so that you’d–this audience will know. It’s a real strange feeling around where you’re at. That’s that Pillar of Fire… That’s… I hope the audience sees it. You see? But that’s what you’re feeling. See? It’s–It’s there. It’s contacting you. I see some kind of a room. It’s a white look… It’s a… Oh, you had been operated on. Your operation… And they done something, it’s caused a–a bowel condition, isn’t that right? They made a mistake there. But God is here to correct it. You believe it? Lord Jesus, I… Satan, you thought you could hide from the doctor, but you can’t hide from God. Come out of the woman. In the Name of Jesus Christ. I ask that You may…?… Amen. Go, my sister, may God go with you and bless you. How do you do? Now, be reverent. Have faith. Don’t doubt. I suppose we’re strangers to one another? And that–God knows both of us. I–I don’t know you, and–but God does. We’re just two men that’s met here on earth, and our paths has crossed this a way. But He knows all about us. And He can supply everything that we have need of, if we just believe on His Son, Christ Jesus, and accept it. Is that right? You’re a Christian. I just wanted to see what kind of spirit you had. That’s exact… Sometimes Satan tries to put something over on you, so I test in the Spirit. E-78 All right. You–you believe. Now, I see you… You’re–you’re having some… You’re… keep sitting up in a bed; you just keep sitting… Oh, it’s you can’t sleep. You got–you’re nervous. Isn’t that right? Nervous condition, you–you just can’t sleep at night. And it’s a… You’re–you’re not from here. I see you coming through some kind of a place where they’re checking up on you or something, It’s a… Oh, it’s immigration. You’re from Canada, Windsor, Ontario. Is that right? And you are an evangelist, a minister. Isn’t that right? And your initial is J. W. and your name is Price. Reed. J. W. Reed. I see it on that box sign there where you, see you taking up your mail. See? Well, you’re going home to be well now. Come here. Loving, heavenly Father, the enemy that has brought this condemnation upon the man, I ask that it leaves him. So, Satan, turn him loose. In the Name of Jesus Christ. Amen. God bless you, brother. Go back now wherever you come from, rejoicing and be made well, ’cause God is with you now and He is going to make you well. E-79 Let’s say, “Thanks be to God.” You believe? You believe me to be His servant? You must believe now, sister, ’cause you realize your condition. You got cancer, and you’re not going to live long, unless God touches you, isn’t that right? Come here, my sister. Kind, heavenly Father, let Thy mercies be shown unto the woman. May she go from here tonight normally and well. I condemn this enemy, with this church and these believing people. In the Name of Jesus Christ, may it leave her. Amen. God bless you, sister. Go happy now, rejoicing, thanking God. Just believe it’s–it’s gone from you now, but when it goes out it’ll come back again. If you just–just say, “Thank you, Lord.” Just keep on rejoicing. It can’t come back then (you see), you’re–you’re giving God praise. E-80 All right. Come, sir. I will tell you something. You set right down there awhile ago, and when I was speaking, you were believing what I was saying. Is that right? Well, your heart trouble left you while you were setting down there. Now, you can go on back there believing…?… God bless you. You believe, sir, with all your heart? We’re strangers to one another, but Jesus Christ knows us both. Now, I see you moving away from me. Yes, you have stomach trouble. It’s an ulcerated stomach. It’s caused from a peptic condition from a nervous… caused nervous… it runs a prostate, ’cause you’re getting up at nights and things like that. Isn’t that true? You believe me as God’s prophet? Go out and eat your supper, a hamburger, and go home; forget it. You’re going to be well in the Name of Jesus Christ. May God make him well. E-81 Come, lady. You believe with all your heart, lady? If I could heal you, I’d do it. I can’t. But if I be God’s servant, your life can’t be hid. Isn’t that right? You realize you’re in the Presence of something besides your brother, is that right? It’s His Presence. Had a hard time, haven’t you, lady? Life hasn’t been a flower bed of ease for you, I see. Been always all your life, kind of a nervous, upset condition. Especially when you was a school child, you had a lot of trouble with it. That’s true. Wore a little…?… But now, you’re suffering now, with a stomach trouble. That’s what it was, isn’t that right? And the all… female condition and all that? Come here, a minute. Almighty God, may Thy blessings come upon the woman. May she go home and be well. In Jesus Christ’s Name, I condemn the enemy. Amen. God bless you, sister. Go believing now, with all your heart and rejoicing, thanking God for your healing. E-82 All right. Come, lady. You believe with all your heart? The most dreaded disease of the world, a heart trouble. It’s a nervous heart. You usually have your trouble, I notice, when you lay down, smothering. What does that is when you eat, the gas runs up to your heart, what does it. It’s a nervous heart; it isn’t one of them kinds… But you’re going to get all right. I see it turn light around you. So God bless you, sister. I bless my sister, Father, in the Name of Jesus Christ, may she live. Amen. God bless you, sister. Go, believing with all your heart now. Kidney trouble been bothering you? You going to believe that God healed you setting there? Just go off the platform, saying, “Thank you, Lord Jesus,” and you’ll be made well. E-83 Let’s say, “Praise the Lord.” Do you believe? What our Lord Jesus does here, He can do out there. All things are possible to them that believe, you believe it? Be with accord now. Right now, the Holy Spirit can heal every person in here, make every one of you sound and well. All right. Come, lady. You believe with all your heart? If God will let me know what your trouble is, just like He said to the woman at the well, “Go get your husband.” That was her trouble. If He’d tell me… (The visions make me so weak, you see, I… ) You believe? Got kidney trouble in your back, is that right? You did have. You haven’t now. Go home, your faith has saved you. In Jesus Christ’s Name. Arthritis and things bothered you a long time, hasn’t it, lady? You believe you’re going to get well now? May you receive it, sister. Go and believe it with all your heart. In the Name of Jesus Christ, the Son of God. Would you come? You believe? You believe you were healed while you was setting there? A few things in life you want to give up yet, isn’t there? Now, you go give it up, and you will go get well. God bless you. In the Name of Jesus Christ. E-85 I want you to put your hand over on one another, and I’ll show you what God will do just now to the sick and the afflicted. I don’t care how sick you are, how bad off you are. I want you to believe right now, that God’s going to do it. If God, here at this platform, can condemn each individual disease, He can condemn the whole group. Now, I want you to believe. Every person in the building is healed. Jesus Christ did it nineteen hundred years ago. You’re here to accept it. There’s only one thing that keeps you from having it. That’s that little thought of the doubt. So, I’m going to rebuke that. Evening Light Tabernacle – Homer LA. I love Brother Branham..Im so Happy He came. Gods word shall surely come to pass, to be a chosen one,and see it come to pass is really owesome!! God I thank you for choosing me as one your seed in the Bride Age. I Love you Jesus Christ!! really, william branham is a prophete from God, with an important message that can save this end time. Let us just believe and God will do the following. Greetings in the name of Jesus Christ to all saints of the world .By the he lived the life he could not understand himselself what wazas occuring in his life.One day Meda told him about the fact he could not understand his own life.That is the reason why he said himself that ,I put my life in God’s hands because I myself I do not understand.That is the reason why I believe with all my heart that BR BRANHAM is my prophet ,vindicated by GOD ,sent by Jesus Christ, born Prophet ,the pillar of the fire was there some seconds or minutes after his birth , do you see ?The commission was given to him to bring people to believe in him, and even cancer would not stand on his prayer. I would like to ask a question to you as we belong to same Jesus Christ.. Recently, one of your follower Mr. Pieter just guide and exploring our knowledge about The Bible… It’s very interesting and make many question in my mind about the bible…. But my question is not about it.. It is about the fact that happened to me…. Dear Michael, I am a believer in the message which Bro. Branham preached. And I believed he is a true, vindicated Prophet of God. He has passed on to be with The Lord in DEC. 1965. 18 “… Every man ought to have a church home. You ought to have a place, not just to float about from pillar to post, but have somewhere that you go to church and you call it your church, somewhere you pay your tithe, and somewhere that you help support the cause. Take your choice, but then don’t never disfellowship the other man because he don’t belong with your group. See? Discern his spirit and see if he’s got the same purpose in heart, then you got fellowship one with another. You’re working for one great cause. That’s the cause of Christ. I think that that is absolutely true. 41 Then they that gladly received his word were baptized: and the same day there were added [unto them] about three thousand souls. I agree with my brother here that advised you on going to church. But I want to urge you also to listen to a message that The Prophet preach. The name of the message is “God’s chosen place of worship”. I think you will find all your answers in there. You should be part of the body and the body is Christ. First make sure you are in Christ before you rush to church. Christ is the place you worship in and the church is the place you worship with. God bless. Praise be to the Almighty God who has visited His people again. I was glad to read this story once again. This was one of the messages that made me believe that W M BRANHAM is a true prophet4 sent from God. AND HAD THE MOST WONDERFUL PREVILAGE OF BRINGING THIS MESSAGE TO NIGERIA AND PREACHING IT ON THE STREETS OF LAGOS. To dasy the message is all over NIGERIA. I some times wonder if i was at the time of Jesus or Noah, would I believe in their Message? I would I get in to the Arch or follow Jesus? Now I I have got an answer for that, Yes. I would believe. Why? because I have the some Message today and I am believing it. The some Message to Noah, to all other Prophets to day I have William Branham for my Time. Thank Your Lord Jesus Christ For sending us a such humble prophete just for humble people. Praise the Lord, Gods gives enough word to me. Greeting from End Time Message Tabernacle of Lord Jesus Christ. I hope Your are all good with Jesus Blessing. Our end time believers are good. our church address is #17, Veeramamunivar Street, Radhakrishnan Nagar, Thattanchavadi, Puducherry.17. cell.9345419354. Phone: 0413 3201434. i need Br. Billi Paul E-mail Address. Please send me. 30 believers coming to church weekly twice (Wednesday & Sunday). we have enough prophet’s message audio and videos, & books. very powerfull indeed!! its such an extraodinary life story and God help the man who tries to underestimate the supernatural intensity and the overwhelming presence of God in the life of the prophet!! 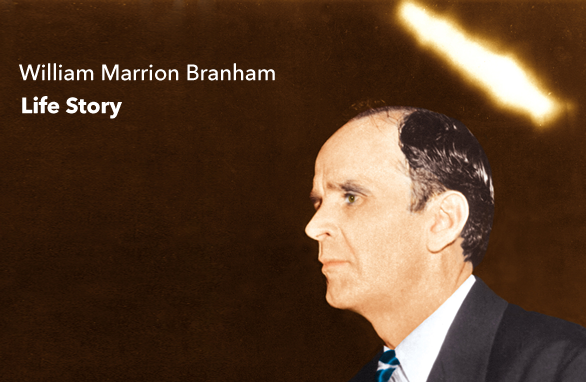 bro william marrion branham the real prophet&last prophet for this age. he is THE Prophet sent to all of us. believe it or not, want it or not. his life just reflects that. you ought to have a devil to think his life story is odinary. hola yo soy una chica q resien esta iniciando el embangelio de branhan y la verdad le creo q es el profetade esta edad yo quisiera llegar a tener contacto con ustedes porq me gustaria q alguien q me ayude con el mensaje en el apredisaje de branhan estoy muy interesada y creo yo soy de peru porfavor les pido q me manden mensaje para seguir en contacto yo le voy a pedir a dios para q yo pueda estar en contacto con ustedes y le doy a dios gracias por esta oportunidad q me da de ser salva gracias hermanos y q dios los bendiga. recién leo tu lineas y estoy muy contento de eso. Si quieres, podemos intercambiarnos alguna que otra cosa. Yo vivo en Alemania, nacido en Chile y he tenido la gracia de haber conocido el mensaje de este tiempo algun tiempo atrás. soy casado y tengo dos hijitos. Que Dios te bendiga abundantemente! Im a believer myself and its nice to know there are people sharing the word of God though the endtime prophet.